administrative r egion) where she was accommodated at a luxury cruise Italian ship Grandi Navi Veloci (GNV)´s cabin.Princess Anna met with authorities of other countries; Presidents, Prime Ministers and Monarchs, it seemed they all knew who she was and treated her with the highest reverence expected for a Monarch. Some of the honored guess were Her Imperial and Royal Highness Camilla Habsburg-Lothringen, Archduchess of Austria and Princess of Tuscany , H.R.H. Princess Tirelo Molotleg iMember of the Royal Bafokeng Family of South Africa, Mr. Nicolas Sarkozy, President of the French Republic from 2007 to 2012, Mrs Lidia Vice President Senate Italy. Debbie Remengesau, First Lady of the Republic of Palau, invited Princess Anna of Georgia to visit their island, HM Queen Nompumelelo Zulu queen of the Zulus south Africa, HM Zwelithini Goodwill king of Zulus South Africa, and much more. The Noble Pier Felice degli Uberti, Knight Grand Cross of Justice Constantinian (Spain), Chairman of two important and prestigious international scientific historical institutions CIGH (Confédération Internationale de Généalogie et d'Héraldique) and ICOC (International Commission for Orders of Chivalry), president of IAGI (Italian Genealogical Institute of Heraldry) and promoter of the Historical association Families of Italy, known and respected researcher, scholar, journalist, writer and editor. (TICAN´s Royal Patrons : HRH Crown Prince Leka II of the Albanians and H.R.H. Crown Princess Ana, daughter of Royal Patron H.R.H. 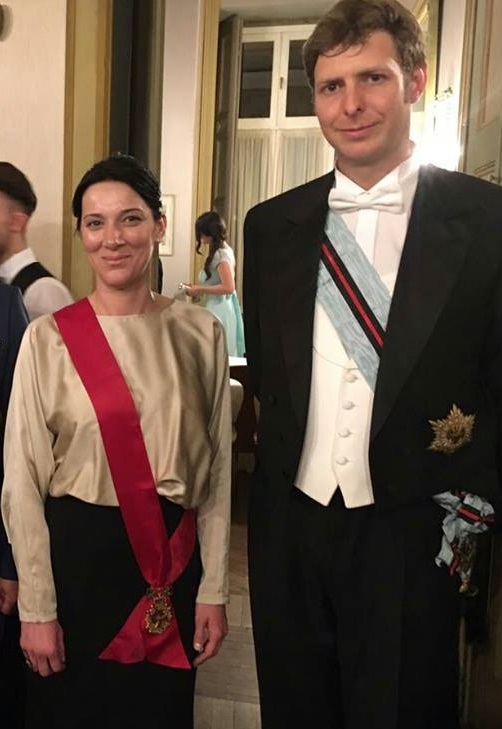 Prince Nugzar Bagrationi-Gruzinski, the rightful heir to the throne of Georgia, attended the “Ballo dei 100 e non piu 100” in the beautiful city of Casale Monferrato, in Northern Italy. Princess Ana decided to wear the Grand Sash and Star of the Royal Order of the Crown of the Georgia Kingdom). 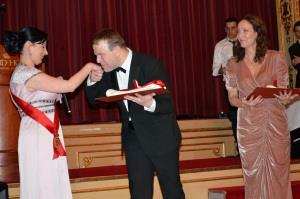 The evening opened with military honors rendered to the illustrious guests: a S.A.S. Prince Don Maurizio Ferrante Gonzaga, Marquis of Vodice, prossimiore akin already ruling family of the Monferrato, in S.A.R. Princess Maria Teresa of Bourbon Parma, president of the Academic Senate of the Studium, in S.A.R. Crown Prince Leka Zogu II, head of the Royal House of the Albanians, in S.A.I.R. Archduchess Monika Habsburg-Loredna, princess of Hungary, Duchess of Santangelo, in S.A.R. Crown Princess Ana Bagration-Gruzinski the Royal House of Georgia, in S.A.R. Princess Owana Ka'ohelelani Salazar, Head of the Royal House of Hawaii and S.A.R. 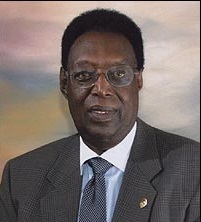 Prince Emmanuel Bushayija of Rwanda (Mwami Yuhi VI); in S.A.R. Princess Luciana Hassan of Afghanistan and S.A.R. Princess Mahera Hassan of Afghanistan, the Convention of baronage of Scotland, to the representations of the nobility of the Kingdom of Spain, the president of the International Genealogy Michel Teillard of Eyry at Historic Families of Italy, Families Historical d ' Europe, the Rend Vitezi of Hungary, at the Union de la Noblesse Russe, labarum to the National Institute for the Honor Guard at the Royal Tombs of the Pantheon, and the Consulta of the Senate of the Kingdom with its president Dr. Pier Luigi Duvina, welcomed the sound of 'Sardo and a large representation of the Royal House of Braganza of Portugal led by Carlos Evaristo. With regret and sorrow we learned on Sunday, 16th October, 2016 the sudden death of our Royal Patron His Majesty King Kifeli V, after he had been admitted three days ago in hospital with a blockage of the aorta. Unfortunately all attempts to revive HM failed. The International Commission and Association on Nobility (TICAN), on behalf of its Board of Directors and members, wishes to pass our sincere condolences to the family, Chancellery, friends and the entire colleagues and members of the royal family. Albania's King Leka II married longtime fiancee Elia Zaharia in an opulent ceremony in capital Tirana. It is the Balkan country's second royal wedding since King Leka's grandfather King Zog was exiled. 20 royal families and 100 aristocrats from across the world, including dignitaries from the UK, were present including Prince Michael of Kent-the first cousin of Queen Elizabeth II. 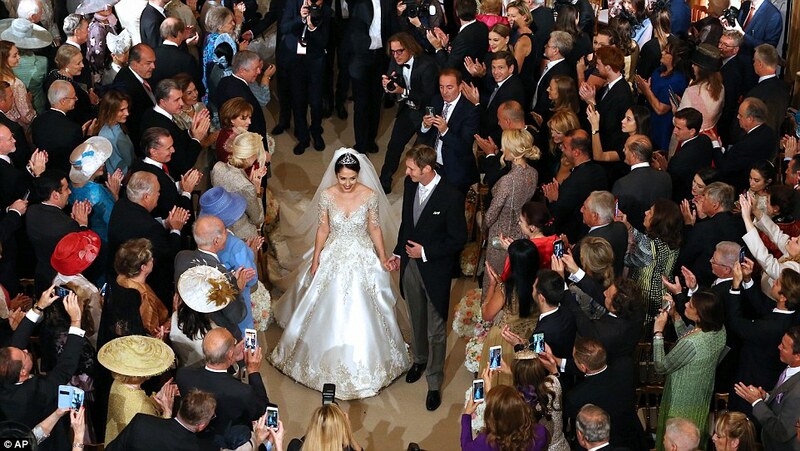 The fact that over 20 royal families and more than 100 aristocrats from all over the world will participate in this wedding is an indicator of the approval that the Albanian royals have. 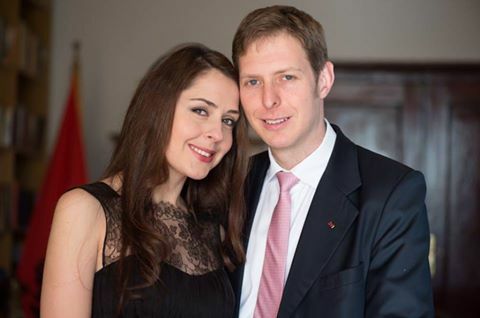 The Albanian Royal Family announced the wedding date of Prince Leka II, grandson of the fateful King Zog. The wedding ceremony between His Royal Highness Crown Prince Leka II (TICAN`s Royal Patron) and Miss Elia Zaharia will take place in Tirana, Albania on October 8th, 2016. His Royal Highness is the head of the Albanian royal family. He was proclaimed successor of the royal crown by His Majesty King Leka I in 2000 after his 18th birthday according to the Statute of 1928 of the Albanian monarchy. 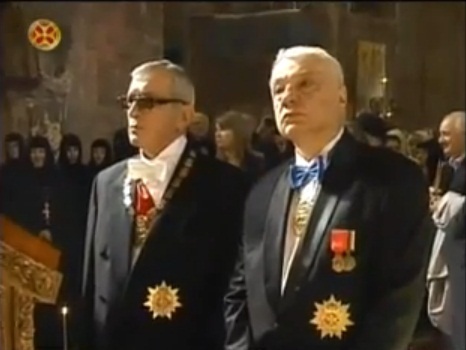 He is sole head of the orders of the Besa and Skederbej and holds the Grand Cross of the Order of Santi Maurizio de Lazzaro. King Zog I of the Albanians was forced into exile only two days after the birth of Crown Prince Leka due to the Italian invasion of Albania. Shortly after, he was replaced on the throne of Albania by Victor Emmanuel III of Italy — an action the King of Italy would later plead personal forgiveness for. Elia Zaharia was born on February 8th 1983 in Tirana, Albania. She is the daughter of George Zaharia and Yllka Muji. Elias father originates from Kosovo of Permeti and her mother is a well-known actress who is very respected by the Albanian public. She has a younger brother, Amos Zaharia. Miss Zaharia is an actress and singer. 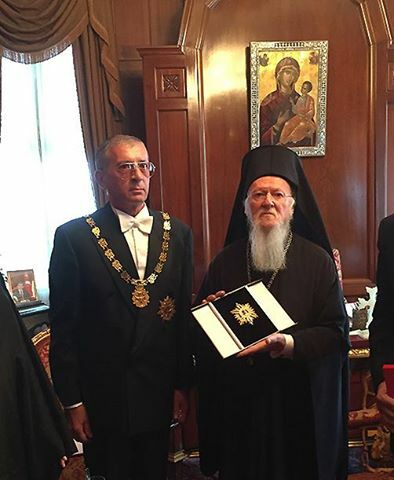 His Royal Highness Prince Nugzar Bagrationi-Gruzinski (TICAN Royal Patron), Head of the Royal House of Georgia (second left) meets the Patriarch of Holy City Jerusalem His Beatitude Theophilos III. HRH Princess Ana, heir to the Royal House (far right)..
We are delighted that two of our Royal Patrons have met at the dinner. 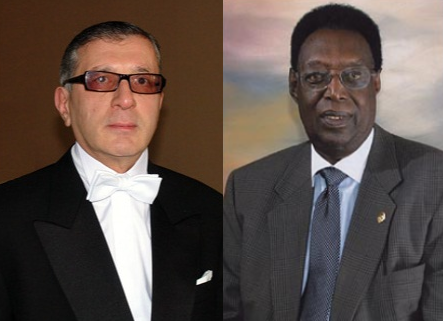 His Royal Highness King Kigeli V of Rwanda and His Highness Prince Nugzar Bagrationi-Gruzinski of Georgia. Her Royal Highness Princess Katarina of Yugoslavia and Serbia, His Royal Highness King Kigeli V, Her Royal Highness Princess Anna Bagrationi-Gruzinski of Georgia. T.R.H. 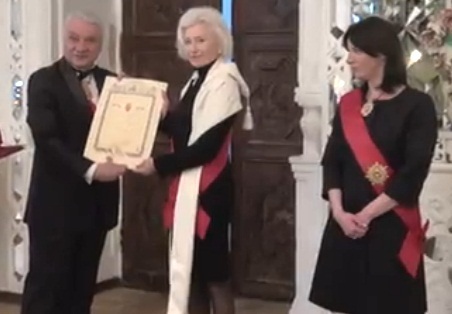 Princess Anna Bagrationi-Gruzinski and Crown Prince Nugzar Bagrationi-Gruzinski of Georgia are publicly acknowledged as giving the Royal Order of St. David the Psalmist to His Majesty King Kigeli V.. 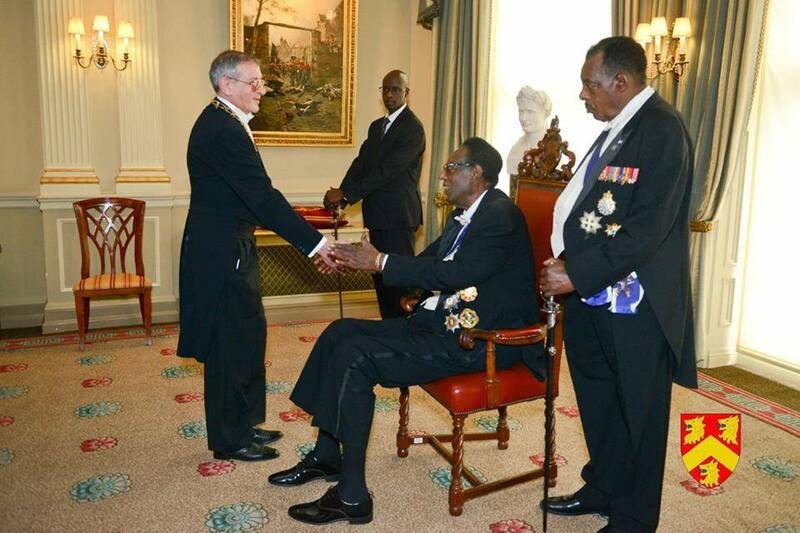 The invitation was recently extended to HM King Kigeli V of Rwanda to become a Royal Patron of The International Commission and Association on Nobility (TICAN), which celebrates the promotion of Monarchy as the most stable form of government and the understanding and exchange of ideas among people of all races and creed. A monarchy is an universal form of organization of the nation that can coexist with most of today's socioeconomic and sociopolitical models. HM King Kigeli V of Rwanda was pleased to accept this invitation. The purpose of the Organization is to unite and prolong the legacy of the old Noble families spreading all over the world. The International Commission and Association on Nobility (TICAN) is a nobility and monarchist organization with educational goals and purposes: to unite monarchists and nobilities, enabling them to meet and contact other monarchists; to promulgate information about and foster interest in monarchy and royalty; to generally educate the public on these subjects; to advance the political theory, history, and philosophy of monarchy, to further theories of modern monarchy, and to re-establish and promote the social institutions of monarchy and nobility and practice their principles in a world which has largely forgotten them: chivalry, honor, duty, loyalty, respect, enlightenment and tolerance. King Kigeli V Ndahindurwa is the current king of Rwanda and has been living in exile since a coup d’état in 1961. He was originally born Jean-Baptiste Ndahindurwa, but he took the name King Kigeli V when he ascended to the throne in 1959. The King currently heads the King Kigeli V Foundation, whose mission is to foster humanitarian initiatives on behalf of Rwandese refugees. King Kigeli V awards the Royal Order of the Lion, the Royal Order of the Lion, the Royal Order of the Crown and the Royal Order of the Drum to individuals. Prince Savoy, acquitted of pm Woodcock, compensated for the seven days in jail in 2006. The judicial system in Italy is not very trustworthy. The district attorney (PM) in this case, Henry John Woodcock, is well known for choosing to investigate only cases where scandal, and well -known people are involved. And most of the time, they come to nothing, just a waste of taxpayer's money. The accusations that the Prince of Naples is a"leader" of a band involved in illegal gambling and prostitution is ludicrous. The Prince, very well known by some scandals, is no leader, least of all of a criminal band. This is just one more Italian operetta. Italians have a knack for being protagonists and this district attorney Woodcock fits the profile. For example, in 2003 he started a case involving a number of politicians and tv stars with accusations that filled 7,000 pages. The case was dismissed for frivolous, not one piece of evidence. Now with Vittorio Emanuele di Savoia there is a file of 2,000 pages!!! The arrest was made with the clear intention of publicity. A simple order to appear before the judge is usually used in these cases, especially when you are almost 70 years. Henry John Woodcock is preparing his next career move which is usually to become a politician. In the meantime, many people's lives are destroyed. He is also involving in the case Simeon of Bulgaria as a conspirator with the prince. I wonder what is next, The Pope? It was 2006, handcuffs Vittorio Emanuele di Savoia. Arrest warrant signed by the prosecutor of Potenza. Heavy charges. The son of the last king of Italy (Umberto II) was challenged everything from criminal association aimed at corruption and gambling criminal association aimed at the exploitation of prostitution, as well as other offenses. But after winning acquittals in several different courts, as a result of that investigation Prince also received a compensation of 40 000 euro. The judicial misadventure of Prince began on June 16, 2006, when Victor Emmanuel was handcuffed at the border between Como and Switzerland and rushed to the prison in Potenza, where he remained until June 23. According to prosecutor Henry John Woodcock, the breadwinner of the House of Savoy had to respond to conspiracy to corruption and gambling and criminal association aimed at the exploitation of prostitution. After a week in jail, Vittorio Emanuele got house arrest until 21 July, when he returned to freedom. The prince was finished in all the papers, but in the meantime the investigation was beaching. Divided by competence in many pieces, some in Basilicata, others in Rome and one in Como, only in Rome came to trial, after which the Savoy was acquitted. 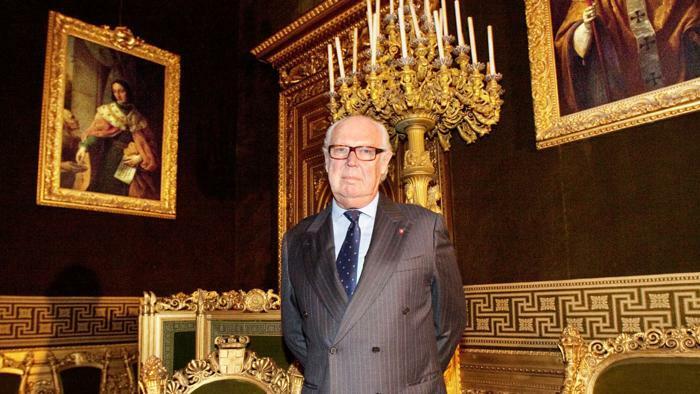 The lawyer Francesco Murgia, comments in the newspaper: "It was right that Italy, compensate the Prince for the incredible misfortune, for seven days in jail and for disaster picture. Victor Emmanuel was shocked by what some judges of his country had done to him. Now he is happy for this pronunciation is more peaceful. "I am happy because today, through a concrete sign that shows once again how the affair was only an exhibition of absurdity and oppression, justice is done again. Justice for me, justice for my house, justice for my loved ones and for those who were close to me during these years. " So Vittorio Emanuele di Savoia comments on the news, reported by the Giornale, the compensation in its favor than the sum of 40 000 for the wrongful imprisonment suffered in 2006. "My first thought - now says Vittorio Emanuele - goes to those people who have found themselves and who are in similar situations, without having the opportunity to defend themselves and to fight as I was able to do in recent years and they see their own families destroyed. Savoy House has always been close to those who suffer because of injustice. For this reason - he concludes – will give to charity the full amount that they will give me as compensation, allocating the sum to an organization specializing in assistance to this kind of situations of suffering and trial. " King Felipe VI took the Spanish crown Thursday June 19, 2014, setting the stage for celebrations in the flag-festooned capital a day after his father quit the throne with tears in his eyes. 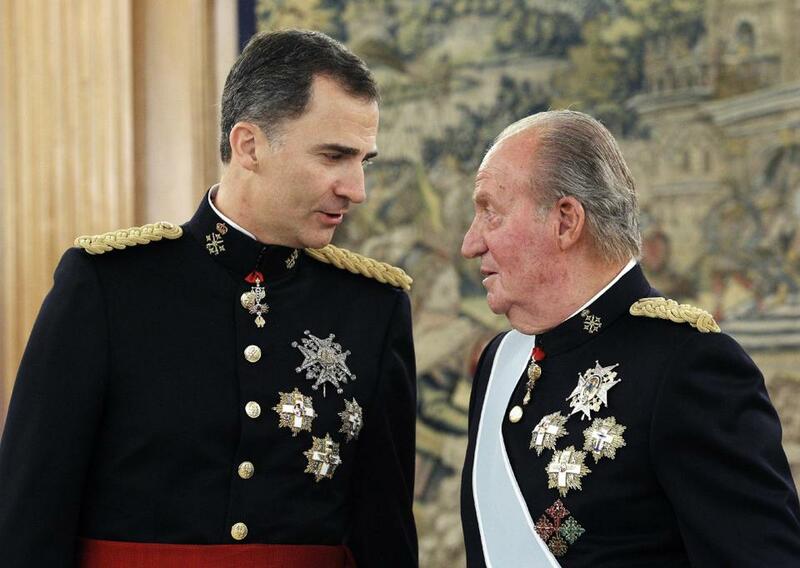 Felipe legally became king at the stroke of midnight (2200 GMT) as an act of parliament signed by his father came into force, formalizing the end of 76-year-old Juan Carlos' 39-year reign. The "Famiglie storiche d'Europa" and the "Famiglie storiche d'Italia" pay tribute to the Albanian sovereignty and to the Albanian independent Kingdom 75 years after the fascist invasion of Albania. 75 years after the fascist Italian invasion of Albania and the birth during these tragic events of the future King Leka I, the prestigious « Cento e non più Cento » Circle, constituted by members of the high Italian and European aristocracy and elite, was pleased to reserve to HRH Prince Leka II of the Albanians the guest of honor’s place at its annual ball which took place at the Palazzo Treville, in Casale-Monferrato, in Piedmont, Italy, on April 4-6 2014. 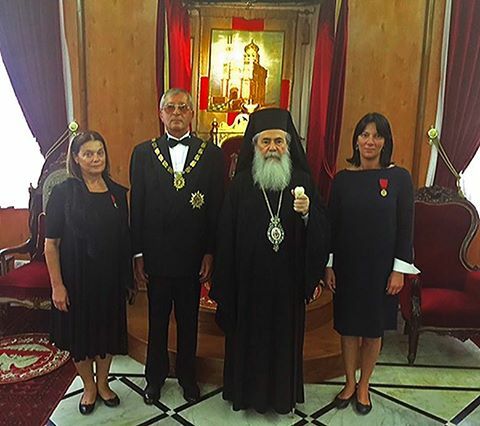 In his quality of Head of the Royal Albanian Family and Sovereign Chief of the Orders of the Besa and Skanderbeg, HRH Prince Leka II was received with full protocol and military honours. In beloved memory of his father, the late King Leka I, who was very much attached to the Order of Skanderbeg, whose colors and name symbolize Albanian sovereignty, national flag and our struggle for independence and liberty, HRH Prince Leka II wear the grand sash with star of this royal order. 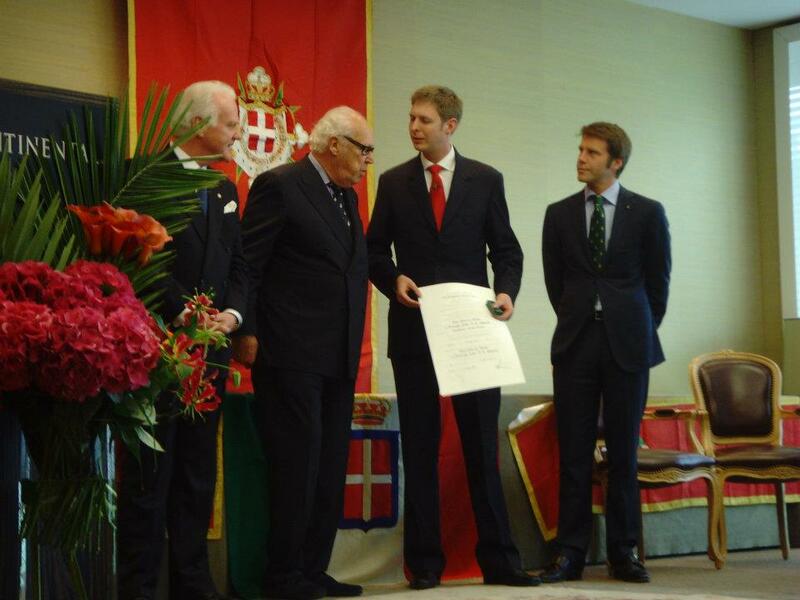 During this event, HRH Prince Leka II was registered as member of honor of the European Historic Families Association, as well as member of honor of the Italian Historic Families Association and of the « Cento e non più Cento » Circle. The honorary membership was conferred to His Royal Highness respectively by HIRH princess Margarete of Austria, HE the Duke Diego de Vargas Machuca and Nob. Pier Felice degli Uberti. HRH Prince Leka II was also invited to take the place of his late Father as one of the patrons of the International Commission on Orders of Chivalry. King Leka I was amongst the patrons since 1974 until his death. The event in Casale-Monferrato was also attended by representatives of other royal families from Austria, Afghanistan and Russia, by members of Italian nobility as the Caracciolo or the Giovanelli Marconi and members of the economic and social Italian elite as well. 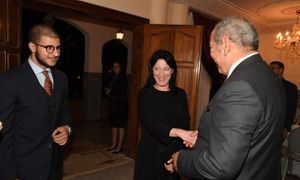 During his stay in Piedmont, His Royal Highness had the occasion to meet some members of the Albanian community who work hard and honestly to help their own families and Albania as well and felt honored to share with them our common national joys and sorrows. Kristiina Ojuland (born in Kohtla-Järve, Estonia) was the Foreign Minister of Estonia from 2002 through 2005. 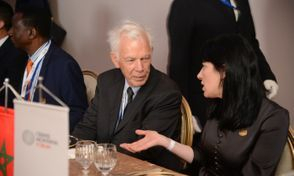 She was a member of the Estonian Reform Party from 1995 till 5 June 2013 and since 2009 she serves as 1 of the 6 Estonian MEPs in the European Parliament. She is a member of the Reconciliation of European Histories Group. 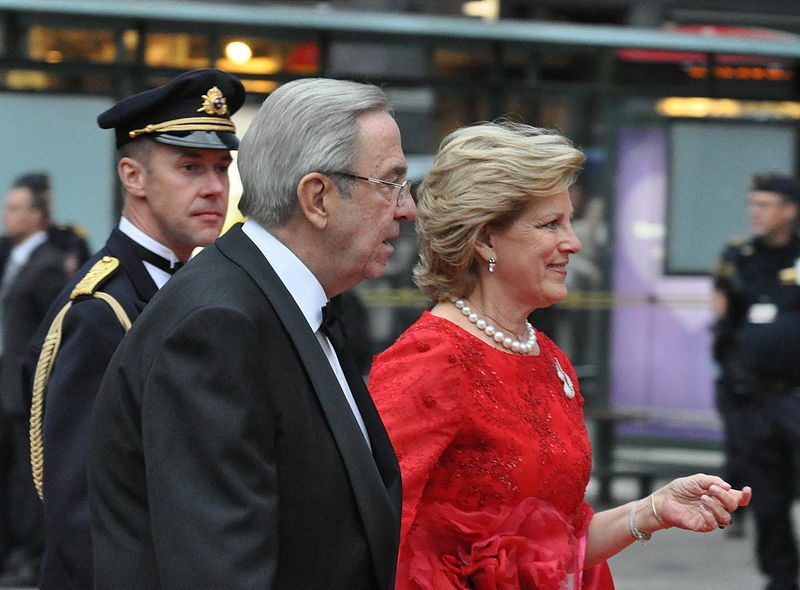 Their Majesties King Constantine II and Queen Anne Marie of the Hellenes are to return to live in Athens for the first time in 46 years. Their Majesties King Constantine II and Queen Anne Marie of the Hellenes are to return to live in Athens for the first time in 46 years. It follows the sale of their London home and a similar move made by their son Prince Nikolaos and his wife Princess Tatiana two months ago. Their Majesties are currently residing in an apartment in Porto Cheli. Though the couple has frequently visited Greece in the last decade, this is the first time since 1967 that they will reside in the Greek capital. Constantine has remained in exile since the vote in favor of the republic. He was strongly discouraged from returning to Greece, and he did not return until February 1981, when the government only allowed him to return for a few hours, to attend the funeral of his mother, Frederica of Hanover, in the family cemetery of the former Royal Palace at Tatoi. The Christening ceremony of His Royal Highness Prince Giorgi Bagration took place on the 3rd November 2013, in the Cathedral of Svetiskhoveli, Georgia. The ceremony was presided by His Holiness the Catholicos Patriarch of All Georgia, Illias II, who is also the godfather of the child due to as the boy is being the third child of HRH Princess Anna and by the will of the Patriarch every third child in Georgia becomes godchild of His Holiness. Almost up to 17.000 new born children in Georgia already are as godchildren of Patriarch. HH the Patriarch at first said that the child is a heir from her royal mother as of Kings Erekle II and Giorgi XII and only then he mentioned that from fathers side he is Prince Mukhranbatoni. The Patriarch His Holiness and Beatitude K.k. Ilia II baptizes His Royal Highness Prince Giorgi Bagration Bagrationi Batonishvilli of Georgia, the child also becomes his godfather so as a boy is being the third child of HRH Princess Anna as by the will of the Patriarch every third child in Georgia is becomes godchild of His Holiness. Almost up to 17.000 new born child's in Georgia already are as godchildren of Patriarch. THE MONARCHY WILL BE BACK IN GEORGIA? 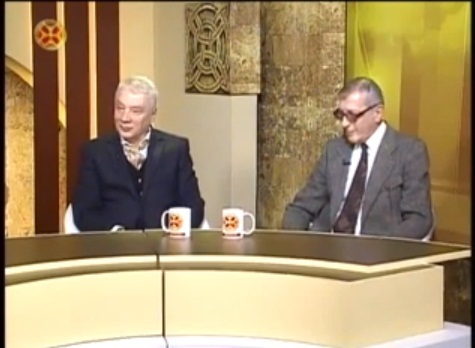 The TV presented HH Prince Nugzar and the Royal Chancellor Kakha Koridze in regards of baptizing of the Prince Giorgi, that HRH Prince Nugzar has consented the young Prince to inherit royal rights from the line of his mother. All Georgian TV programs are saying that this is a historical day to the monarchy reconstruction. From November 3, 2013, Georgia walked in the history and that Georgia has a debt towards the Bagrationi Dynasty. The Royal Chancellor said that” we were waiting for a long time for this day”. The second marriage of H.R.H. Princess Anna of Georgia with Prince David on 8 February of 2009 should also be recognized to be in accordance with the Georgian dynastic law of “Zedsidzeoba”. It is important to mention that under the Georgian Dynastic Law this marriage does not give Prince David any sovereignty. Under this law, Prince David would be recognized solely as the Prince consort for H.R.H. Princess Anna of Georgia. Representatives of the two families, Bagrationi-Gruzinski and Bagration Mukhranski, collaborated on a post-marriage dynastic succession agreement, and the outline of the agreement was sent to His Holiness, the Patriarch of Georgia, Ilia II (This agreement acknowledged H.R.H. Prince Nugzar’s line as the true royal line with his dynastic rights passing to the children of Prince David and H.R.H. Princess Anna). Unfortunately, Prince Davit left the country without completing the request and signing this important document. Thus, if above mentioned marriage will fit the Dynastic Law then Prince Giorgi will surpass his older sisters in the line of succession - Were Prince Giorgi to become a dynast, he would be the heir apparent to the throne after his mother. Over 3,000 Albanians turned out on Saturday Nov. 17 to pay their final respects to the late King Zog I of Albania, whose remains were re-buried with state honours after their repatriation from France. They arrived in the international airport of the Albanian capital, Tirana, where they were greeted by family members and officials, including Prince Leka (the King’s grandson) and his fiancée. The King was interred in a newly built Royal Mausoleum. Paying homage to the late King, Albania’s Prime Minister Sali Berisha called him “an illustrious figure who laid the foundations of the Albanian state” as the late Monarch’s coffin – draped with the Albanian flag – lay in state in the former royal palace. Among foreign guests invited to the ceremony was Prince Radu of Romania, who represented the Romanian Royal Family. King Zog was born as Ahmet Muhtar Bej Zogolli and ruled Albania from 1925 to 1939. His father originated from a beylik family of landowners with feudal authority over Mati, whereas his mother’s family claimed descent from the sister of Albania’s greatest hero, Skanderberg, whose decades of defence of Albania from the Ottomans was considered a model of Christian resistance against the Ottoman Muslims. Zog started his rule as a President but after 1928 constitutional changes, proclaimed the country a constitutional monarchy and was crowned as King. The Albanian Royal Family fled the country in 1939, after the Italians invaded Albania because of its strategically highly important Adriatic ports. Initially, the family settled in England, then Egypt, before finding permanent residence in France. Zog died in exile in France in 1961 and was buried in the Thiais Cemetery in Paris. His family was allowed to return to Albania in 2002. The repatriation and reburial was organised by Albania’s conservative government as part of ceremonies to celebrate the centenary of Albania’s independence from the Ottoman Empire. King Zog’s only son, Crown Prince Leka, fought for restoration of the monarchy in Albania until his death last year. The Crown Prince himself only had one son, also named Prince Leka, who is the current pretender to the throne. He served at the Ministry of Foreign Affairs and is currently an official at the Albanian Ministry of Interior and a political advisor to the President. The Buckingham Palace announced on Friday, May 25, 2012, that the Duke of Cambridge has been appointed a Knight of the Most Ancient and Most Noble Order of the Thistle. HRH the Duke of Cambridge has been appointed a Knight of the Most Ancient and Most Noble Order of the Thistle, the highest order in Scotland, in honor of his 30th birthday. Appointments to the Order are entirely the personal gift of the Duke’s grandmother, HM Queen Elizabeth. In the next few weeks William, who is known as The Earl of Strathearn in Scotland, will be formally welcomed into the order in a ceremony at Holyroodhouse Palace in Edinburgh. He is now able use the post-nominal letters "KT" to indicate his Knighthood. Her Majesty’s decision to appoint her grandson to the Order is somewhat unexpected because only three other members of the Royal Family – excluding the Sovereign – are members: Prince Philip, Prince Charles and Princess Anne. It was usually assumed the Queen would appoint her other sons as Knights, The Duke of York and The Earl of Wessex, before bestowing the honor upon any of her grandsons. The Most Ancient and Most Noble Order of the Thistle is the most senior Order in Scotland and the second-most senior in precedence in the United Kingdom, after only The Most Noble Order of the Garter. The order in its current version was founded in 1687 by James VII and II of Scotland and England, who claimed it was a revival of an earlier Order. The order’s emblem is the thistle – the national flower of Scotland. Its motto is” Nemo me impune lacessit” (“No one provokes me with impunity”). Unlike most other honors, appointments to the Order are entirely in the personal gift of the Sovereign and are not made on the advice of the Government. The Order consists of the Sovereign, sixteen Knights and Ladies, and extra Knights and Ladies. The last category includes members of the British Royal Family and foreign Monarchs. Currently, Extra Knights and Ladies of the Thistle are The Duke of Edinburgh (since 1952), The Duke of Rothesay (since 1977) , The Princess Royal (since 2000), and the newest addition – The Duke of Cambridge (since May 25, 2012). Prince William is already (extra) Knight of the Order of Garter; Queen Elizabeth appointed him to the order in 2008, making him the 1,000th Knight since the order’s creation. 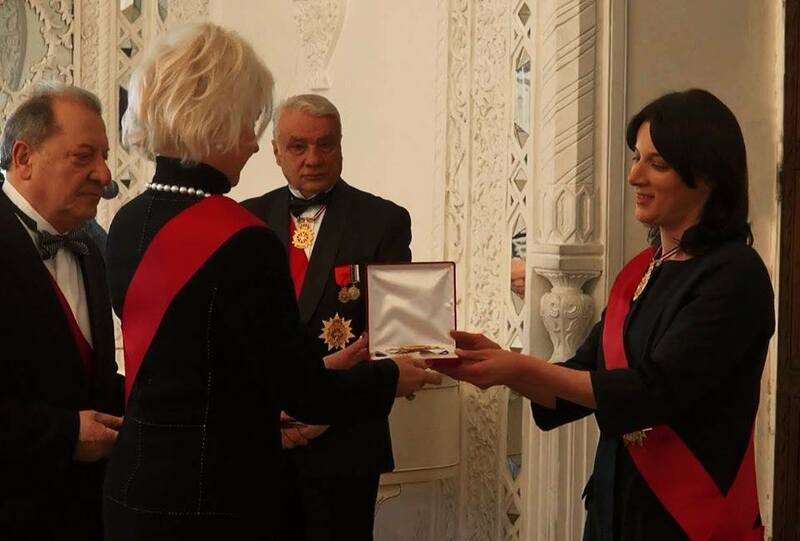 At the invitation of HRH Prince Victor Emmanuel of Savoy, HRH Prince Leka II of Albanians (Our Royal Patron) attended the ceremonies of the annual chapter of the dynastic orders of the House of Savoy, which took place in Geneva and St. Maurice Agaune , Switzerland, 19 and 20May. 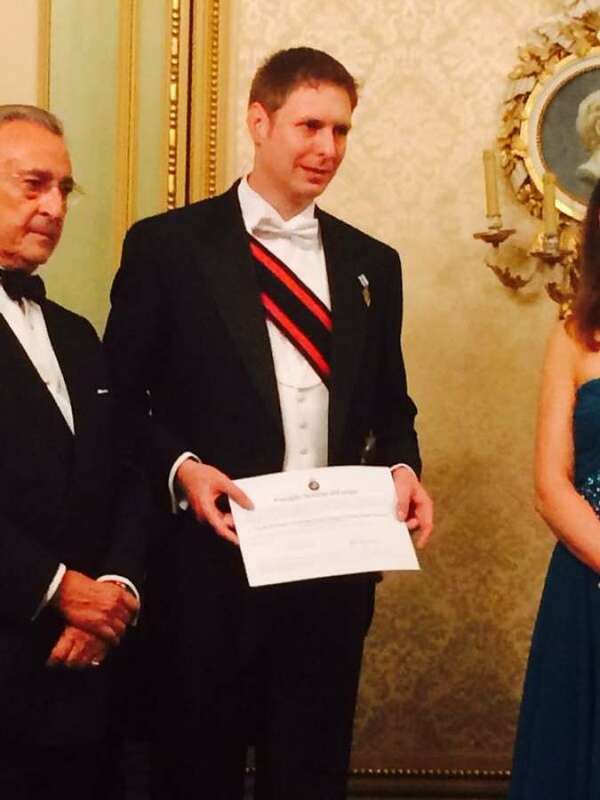 HRH Prince Leka II has been raised to the dignity of Knight Grand Cross of the Order of Saints Maurice and Lazarus by motu proprio of HRH Prince Victor Emmanuel of Savoy, Sovereign Grand Master of the Order, during the chapter held in Geneva. Established by Duke Emmanuel Philibert of Savoy in 1572, as a religious order and hospitable, the Order of Saints Maurice and Lazarus became the highest honor of the Kingdom of Italy, between 1860 and 1946, after the Order of the Annunciation. Since 1946, the Order of Saints Maurice and Lazarus are back as a dynastic order oft he House of Savoy and perform humanitarian missions in accordance with its original purpose. Included are many Italian and foreign personalities. King Zog I, grandfather of HRH Prince Leka II, received the insignia of Knight Grand Cross of that order in 1926. By giving HRH Prince Leka II rank the most important of the Order of Saints Maurice and Lazarus, the Royal House of Italy wanted to honor the Royal House of Albania by serving it had its place among the other royal families of Europe. The reception in this order also symbolizes the continuity of the age-old ties between Italy and Albania, which, despite all the vicissitudes and tragedies of our history in common part, have continued to strengthen in the interest of two countries. During the ceremonies mentioned, HRH Prince Leka II had the opportunity to meet and talk with many Italian and foreign personalities. 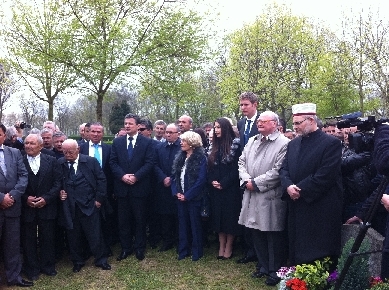 photo taken on the 51st Anniversary of King Zog's death (9 April 1961) at the cemetry of Thiais in front of the late king's tomb, in the presence of Our Royal Patron HRH Prince Leka II (tall man on right of photo), his fiancée Miss Elia Zaharia, his aunt Mrs. Sylviane Muselier (sister of the late Queen Geraldine), Our Honorary Member Skender Zogu, nephew of the late king (with light coat beside Prince Leka II), HE the Albanian Ambasador Mr. Ylljet Aliçka, the Albanian Imam Tahsim, and about 300 Albanian royalistes who came from Belgium, Albania and France. 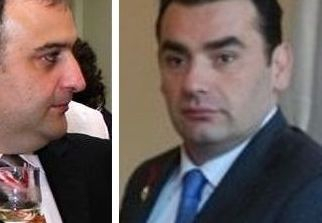 The Albanian Royalist party was represented by his President Mr. Eqrem Spahija and Vice-president Mr. Sulejman Gjanaj. The representative of the Kosovo Embassy in Bruxelles Mr. Gani Azemi, first secretary, the late King Leka's military attaché Commander Hylle Spahija and some Albanian press & TV members were present. t is expected following the decision taken by the Albanian government, that the remains of the late King Zog I and the members of his family will be transferred, during 2012 year of the 100th anniversary of the independance of Albania (1912-2012) to Tirana where a museleum will be erected and where the ashes of the following members of the Royal family will be burried: HM King Zog I, HM. Queen Geraldine, HM King Leka I, HM Queen Susan of the Albanians; HH Prince Xhelal (brother of king Zog I); HH Royal Princesses: Senije, Adile, Myzejen, Maxhide, Ruhije and Nafije (sisters of the late King). Theceremony will be organised by the Albanian state and the date will be announced soon by the special Commission which has been formed for this sacred event. His Majesty King Leka of the Albanian Born on 5 April 1939 in Tirana, two days before the fascist invasion of Albania dies at 72. On behalf of TICAN Administration, Directors and members, we wish to forward our sincere condolence to the Our Royal Patron, HRH CROWN PRINCE LEKA II OF THE ALBANIANS and his family. May God bless and keep you, and be guide through this dark time. Words can hardly describe our heartfelt sorrow for you. Leka Zogu, whose father served as Albania's king until it was occupied by fascist Italy, and who twice returned home from exile to try to claim the throne himself, died Wednesday Nov. 30, 2011, of a heart attack at the Mother Teresa Hospital in Tirana. 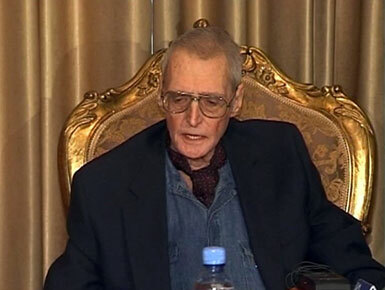 Leka, Crown Prince of Albania (Leka I Zogu) (5 April 1939 – 30 November 2011), was the only son of King Zog of Albania and his queen, Géraldine Apponyi de Nagyappony. He was called Crown Prince Skander at birth. Leka was pretender to the Albanian throne and was referred to as King Leka I by Albanian monarchists and some members of the media. Our Royal Patron, Prince Leka (II) of the Albanians (Leka Anwar Zog Reza Baudouin Msiziwe Zogu, born 26 March 1982) is the only child of Leka, Crown Prince of Albania and the late Susan Cullen-Ward. Prince Leka is an official at the Albanian Ministry of Interior and in the past has served at the Albanian Ministry of Foreign Affairs. The prince is referred by some Albanian monarchists as Crown Prince Leka II, since they consider his father Leka I as King of the Albanians. The next royal wedding will take place on October 13th, it has been announced by the Bhutanese Royal Court. The 31-year old His Majesty King Jigme Khesar Namgyel Wangchuck will marry his commoner bride, Jetsun Puma, in a traditional ceremony in Punakha, before travelling to Thimphu, where the wedding celebrations will take place at the Changlingmithang Stadium on October 15th. Wangchuck became king in June 2008 after the abdication of Jigme Singye Wangchuck and inherited the throne of a country that had just recently made the transition from an absolute monarchy to a democracy. His father Jigme Singye Wangchuck - who himself acceded to the throne when aged only 16 - took great pains to ensure that Khesar was prepared to take over the throne before his abdication in December 2006. 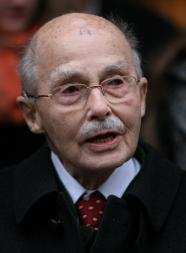 Otto von Habsburg, the oldest son of Austria-Hungary's last emperor and the longtime head of one of Europe's most influential families, died Monday, his spokeswoman said. He was 98. Habsburg died in his sleep at his home in Poecking in southern Germany, where he had lived in exile since the 1950s. A longtime advocate of European reunification, he campaigned against communism and for the removal of the Iron Curtain. Born in 1912 in what is now Austria, Habsburg witnessed the family's decline after the empire was dismantled and Austria became a republic following World War I. He became head of the family at his father's death in 1922 and continued to claim the throne until the 1960s. In 1919, Charles and his family had to leave the country for what turned out to be permanent exile in various European countries. After his father's death in 1922, the 10-year-old Otto officially took over as the head of the House of Habsburg. Otto tried to negotiate his return to Austria in 1935 and again in 1938 when he even sought to become chancellor to fight the expected invasion by Hitler's troops, but could not gather enough support. Instead, he found a channel through the U.S. embassy in Paris to contact President Franklin D. Roosevelt and later claimed to have prevented Allied bombings of a number of Austrian cities by pleading with the U.S. military. He was also credited with having helped about 15,000 Austrians escape the Nazis. At the same time, as he told the Austrian paper Die Presse in 2007, he negotiated Austria's postwar fate with Roosevelt, Winston Churchill and Charles de Gaulle. Still, he was not allowed to return to Austria until 1966, five years after he officially abdicated the crown. He later claimed to be baffled by the hostility and criticism in his home country. Habsburg's wife, Regina, died last year. The couple had seven children. Their eldest son, Karl, now runs the family's affairs and has been the official head of the House of Habsburg since 2007. Habsburg will be buried July 16 in the Emperor Tomb in Vienna, below the Austrian capital's Capuchin Church. Queen Elizabeth II has bestowed the official royal titles onto Prince William and Kate Middleton. She willof coursetake the appropriate female titles once they are marriedmaking them the Duke and Duchess of Cambridge. Duke is the highest rank in the British peerage. But that is not all! 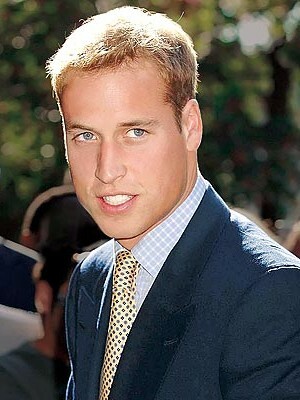 Prince William will be the His Royal Highness Duke of CambridgeEarl of Strathearn and Baron of Carrickfergus. That makes Kate her Royal Highness Duchess of CambridgeCountess of Strathearn and either Baroness or Lady of Carrickfergus. 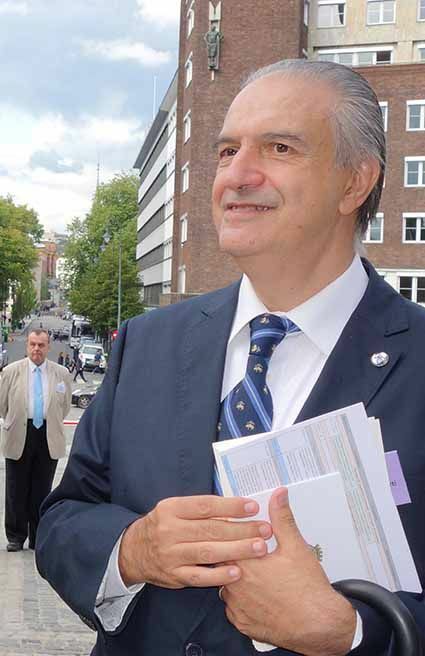 Dr. Prof. Aldo Colleoni presenting two books that he has published of the Royal House of Borbon Two Sicilies to His Royal Highness Prince Charles of Bourbon Two Sicilies, Duke of Castro, Head of the Royal House, Grand Master of the Royal Order of St Januarius., Grand Master of the Royal Order of Saint Ferdinand of Merit , Grand Master of the Sacred Military Constantinian Order of Saint George, Grand Master of the Royal Order of Saint George of the Reunion and Grand Master of the Royal Order of Francis I.
Dr. Paolo Bellieni (left), Commander of Jus Patronato - Officer of Triveneto of the Military Constantinian Order of Saint George. From left to right: Dr. Paolo Bellieni, His Royal Highness Prince Charles Bourbon Two Sicilies, Dr. Prof. Aldo Colleoni and Comm. Giorgio Miccoli. H-R.H. Prince Charles Bourbon Two Sicilies, Dr. Prof. Aldo Colleoni,Dr. Giorgio Miccoli and Dr. Paolo Bellieni.